They might be small, but they have a mighty impact. Small businesses add hundreds of thousands of jobs to our economy, injecting about $100 billion dollars a year into Alberta communities. Those businesses have a higher economic impact per capita than anywhere else in Canada. That’s why Rachel Notley is fighting to help entrepreneurs and small businesses thrive. After a collapse in global oil prices in 2014, Rachel Notley campaigned on getting Alberta off the royalty roller-coaster. She’s been fighting Ottawa to get a pipeline built. But Notley also got to work on the biggest economic diversification agenda since Peter Lougheed, with more upgrading and petrochemical products, food processing, green technologies, high tech and emerging technologies. Under Notley’s watch, Alberta has cut small business taxes by a third. 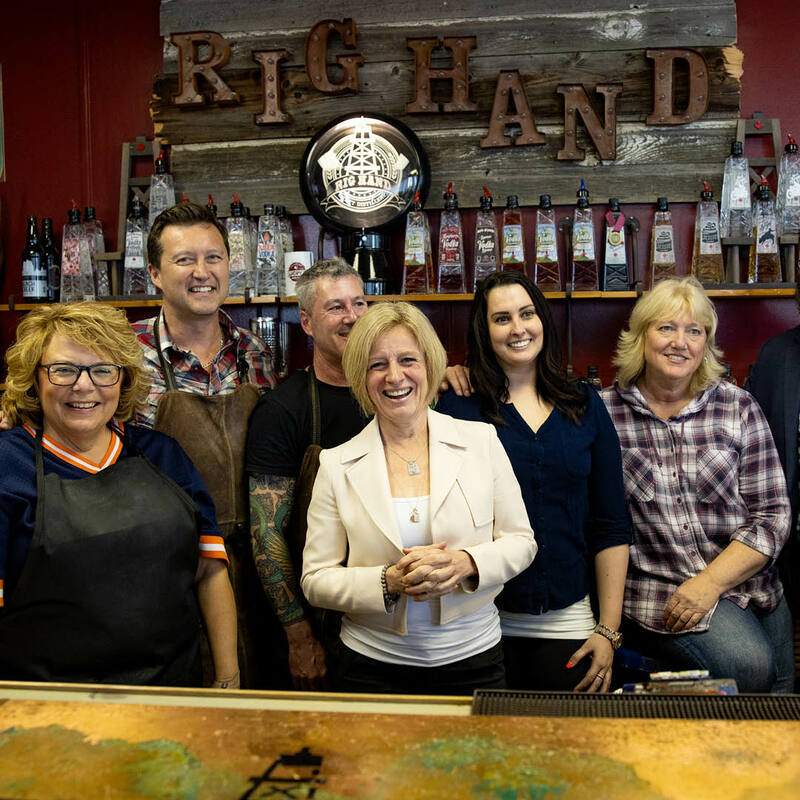 Along the way, Notley partnered with entrepreneurs and businesses to make it easier for businesses to thrive. Under Notley’s watch, Alberta has cut small business taxes by a third. And every dollar invested in the Capital Investor Tax Credits has helped leverage $22 in new private investment, paying for new machinery, equipment and buildings that help businesses succeed. Recognizing the difficulty of the crucial start-up phase, Notley made it easier to turn ideas into businesses and get funding to get businesses off the ground. She restored training programs for new entrepreneurs that were slashed by previous Conservative governments. Notley’s team made thousands of loans more readily available with a $1.5 billion increase to ATB Financial’s borrowing limits. And Notley worked with the Business Development Bank of Canada (BDC) to establish a $1-billion fund for new business loans, along with mentoring supports. The new Alberta Investor Tax Credit has provided refunds to hundreds of small business on green technology investments. Recognizing the difficulty of the crucial start-up phase, Notley made it easier to turn ideas into businesses and get funding to get businesses off the ground. Notley doubled funding for a technology development program with Alberta Innovates, helping hundreds of small businesses get from testing to marketing. Small business incubators were added to help businesses grow faster. And mentoring supports were expanded so entrepreneurs can launch more start-ups, innovate and expand. New Canadians are getting help too as they launch new companies. Through a partnership with Business Link, one-on-one supports and resources for immigrant clients help newcomers get ahead. Rachel Notley recognizes that big impacts come from small business. That’s why she’s continuing to fight to make Alberta the best place in Canada to invest and do business. And with Alberta’s low small business tax and personal tax, and lack of payroll tax, health care premiums, or sales tax, small businesses continue to do mighty things in Alberta.